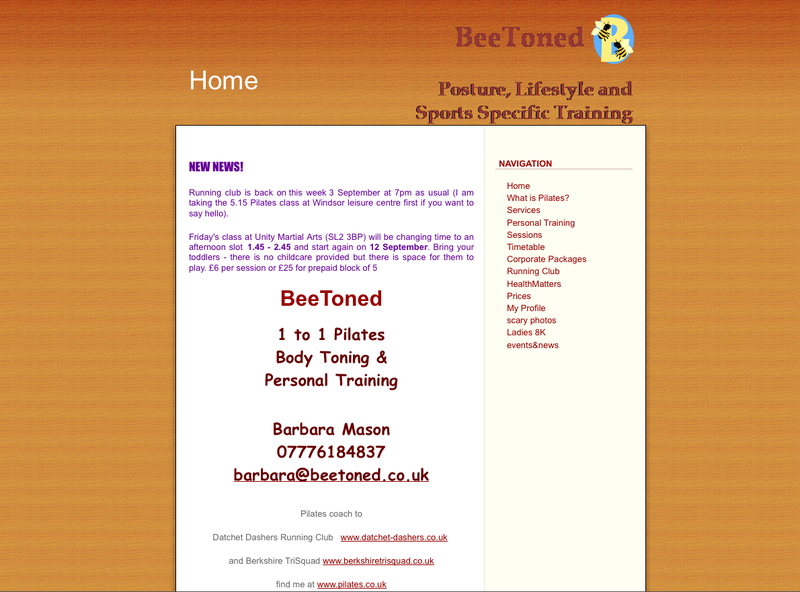 I was able to open your site - Bee Toned - Posture, Lifestyle and Sports Specific Training. I am using Firefox 2 to view it. Could you try to view it again and click on the refresh button to see if that will allow your site to show? Perhaps some of our other SynthaSite users could take a look to see if they can see your site as well? I am sorry you are having this problem. Thank you for providing the link. When I go to it I see your site. See the screenshot below to confirm that this is indeed the site you are referring to. Can you tell me exactly what you see when you try to go to your site? Also, please tell me who your domain name registrar is (the company you purchased the domain from). You may need to contact their support department for assistance.